Excellent Blog by Kristin Amico…..
Don’t let the cool temps fool you, spring is now officially upon us! Here are the best ways to celebrate high seas, gorgeous blooms, beautiful beaches and more as Cape Cod awakens for the season. In spring, blossoms begin to carpet the area and bring a burst of color to the muted landscape of cedar shingles and sable beaches. For early petals, make your way to Nantucket for the annual Daffodil Festival April 26–28. Head to the Brewster for the Bloom Festival May 3–5, featuring a parade, 5k Bloom run, spring concert and arts & crafts show. From May 25-June 2, take in the majestic Rhododendron Festival at Heritage Museums & Gardens in Sandwich, where you can enjoy a peaceful walk amidst the vibrant gardens. Seasonal restaurants start opening their doors after the winter hiatus. Make your way across the Cape to dig into fried clams, bowls of chowder and lobsters in the shell. Take in the first signs of spring at The Flying Bridge, overlooking Falmouth Harbor, and enjoy seasonal seafood and New England favorites. Fish & chips, juicy burgers and specialty cocktails complement the views of bustling Hyannis Harbor at Baxter’s, while Cooke’s Seafood in Mashpee satisfies a seafood craving with all the fried and broiled options imaginable, served alongside hand cut fries and onion rings. The Lobster Claw in Orleans delivers a classic seafood shack dining experience, from fisherman’s platters to lobster rolls, in a whimsical nautical setting. In Wellfleet, Pearldresses up seafood dinners with a raw bar, classic cocktails and creative takes on fresh fish. Hit the bike trails for spring scenery and a breath of fresh air. The Cape Cod Rail Trail follows the path of an old railroad for 22 miles through Dennis, Harwich, Brewster, Orleans, Eastham and Wellfleet, with several off ramps to exit to nearby beaches and communities. The Shining Sea Bikeway is another example of railroad repurposing. The path runs the route of the old New Haven and Hartford Railroad and takes cyclists along an 11-mile trail in North Falmouth to Woods Hole. For scenic canal views, bike the Cape Cod Canal Trail, which hugs the water and affords great close-ups of ship and boat traffic through the waterway. With plenty of areas to stop for food or relaxation on park benches, the trail makes for a relaxing sunny day. Bike rentals are available at multiple locations around each trail. As the weather warms, the community embraces its roots with a month of events that pay homage to the Cape’s seafaring history. Celebrate Maritime Days across Cape Cod in a variety of ways, from taking a guided kayak excursion and exploring New England lighthouses to viewing nautical art exhibits or nature walks. Head out to the high seas for the chance to catch the breathtaking views of breaching wales in the chilly Atlantic. Cape Cod is a world-class destination for whale watching, with a rich feeding ground offshore that attracts a large percentage of the world’s whale population annually. In fact, Stellwagen Bank National Marine Sanctuary off Cape Cod has been named the “Best Place to See Aquatic Life” by USA Today. Whalewatch excursions depart weekends beginning mid-April (and daily in season) from Provincetown, Hyannis and Plymouth. Massachusetts is one of the top states when it comes to ice cream consumption, and there are plenty of flavors to savor throughout Cape Cod during any season. But longer days bring even more excuses to grab a cone or sundae. 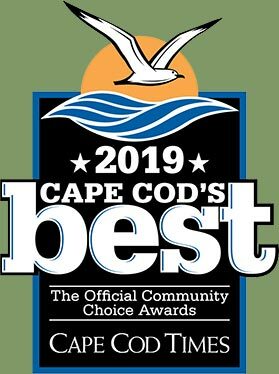 Cape Cod Creamery, with locations in Yarmouth and Hyannis, serves up gourmet ice cream with flavors ranging from classic chocolate and mint chip to ginger and grapenut. Four Seas in Centerville is one of the oldest ice cream shops in New England, and churns out homemade local favorites like black raspberry and coffee piled high on a sugar cone, as well as ice cream sandwiches and thick milkshakes. Not sure what flavor you want? Polar Cave in Mashpee carries more than 40 varieties of ice cream, sherbet and frozen yogurt. They even make their own waffle cones continuously throughout the day to hold the generous portions of sweet treats they dish out. While we all love the fresh start of spring, let’s be honest, each bike ride and ice cream cone in the early season is just a way to pass the time until flip flops and beach weather return for the summer!